Is there any paperwork or document for the mechanical systems of 27961 Pike Rd, Adelaide Metcalfe, Ontario? I need more information about the property at 27961 Pike Rd, Adelaide Metcalfe, Ontario. How ist the neighborhood, location and nearby amenities for 27961 Pike Rd, Adelaide Metcalfe, Ontario? I have questions about the roof, foundation, insulations and mechanical issues of 27961 Pike Rd, Adelaide Metcalfe, Ontario? I need more information about property details. What's wrong with this house? Is this a short sale? Is there any maintenance for 27961 Pike Rd, Adelaide Metcalfe, Ontario? What is this property worth in today's market? What are "closing costs", and how much? What steps should I take when looking for a home loan? What price home can I afford? Is my credit good enough to buy this house? What are the best mortgage options for me? How flexible is the seller on the asking price? 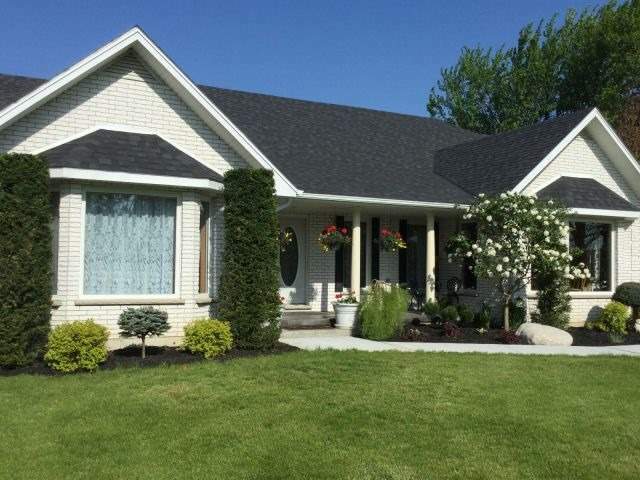 How low can I consider offering for 27961 Pike Rd, Adelaide Metcalfe, Ontario? Custom Home, Specially Designed And Engineered For This Location. Built By A General Contractor With Many Extras For His Family And As A Showcase Of His Work. The Design Takes Advantage Of Natural Light And Summer Breezes Making This A Bright And Efficient Home. It Is Close Enough To Town To Walk, Far Enough To Be Private (No Neighbours Behind) And Quiet. This Home Is Ready To Move In. Whether you are searching for your dream home to buy or doing your assignment to sell your own home or looking for a business to provide income for your family, eHomz Realty Brokerage is here for you to help. eHomz provides you a comprehensive inventory of 2 homes, condos, townhouses and businesses for sale and rent in Adelaide Metcalfe with the strong search tools to help you find what fits your need. eHomz has the most up-to-date set of Adelaide Metcalfe real estate listings and gives you the power of searching within the latest Adelaide Metcalfe MLS for nearby cities and neighborhoods. If you are interested in the Adelaide Metcalfe real estate market and how Adelaide Metcalfe has changed over the years, ehomz team of experts who has tremendous experiences working in Adelaide Metcalfe area will be in touch with you and send you the accurate and documented statistics. Adelaide Metcalfe MLS data shows that the average Adelaide Metcalfe home will sell for $646,533 and will be on the market for 17 days. Get in touch with one of our experts to find out more about your dream home today. Find Home in Markham real estate for sale as well as search for homes for sale in Vaughan Real Estate and within the Mississauga and Brampron Real Estate � MLS Listings on eHomz. Use eHomz search to narrow down the properties by type, price, number of bedrooms, bathrooms, garage, parking, basement, size, or other keywords to find the target home. Also you can explore more records in different categories such as Adelaide Metcalfe condos or houses for sale in Adelaide Metcalfe. Adelaide Metcalfe is home to 0 neighbourhoods and communities accommodating people who are interested either in Adelaide Metcalfe Rentals to rent Houses for sale in Adelaide Metcalfe to own their dream homes. If you're looking for Condo apartments for rent in Adelaide Metcalfe or houses for rent in Toronto, we have you covered.